ISTA provides the tools needed to ensure packaged-products survive the risky and hazardous global distribution market. Click "Learn More" to watch a video with further information. ROOM BLOCK ENDS APRIL 19th: Join us May 13-16, 2019 at the brand-new Gaylord Rockies Resort in Denver, Colorado! SAVE THE DATE & CALL FOR SPEAKERS: We’re going to Chicago for the second annual ISTA Omni-Channel Packaging Strategies Conference! TRAINING OPPORTUNITIES: We're offering CPLP and RPbD training at the ISTA Forum, May 12th-13th in Denver, Colorado. Check it out! SAVE THE DATE & CALL FOR SPEAKERS: ISTA is pleased to announce the 13th China Packaging Symposium to be held September 18-19 in Shenzhen, China! SAVE THE DATE! ISTA is pleased to announce the 2019 Asia Pacific Packaging Symposium will be held in Manila, the capital city of the Philippines! 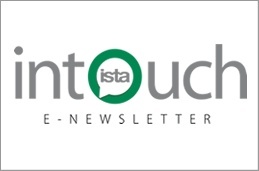 Check out the March issue of ISTA's InTouch e-newsletter! It features news and updates for our packaging community. 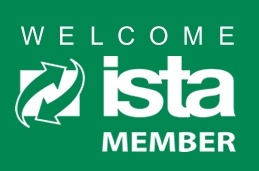 ISTA is happy to announce the following new members have joined our community in March! 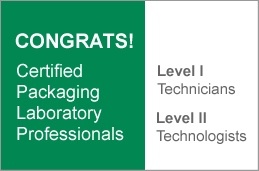 Congratulations to all of the individuals who have recently achieved CPLP certification status!